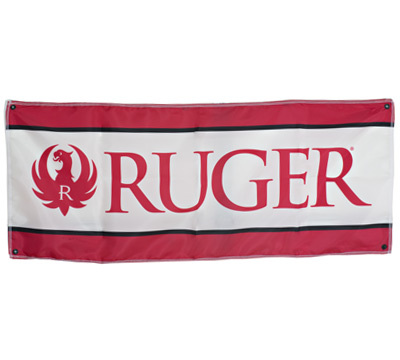 Uniquely Ruger branded, White/Red polyester, 2'x5' banner. It has a brass grommet located in each corner and 5' of polyester rope attached to each one. Made in the USA by World Division.